I wasn't more than 30 minutes outside of D.C. the other night before my cell phone started ringing. 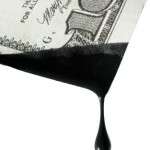 The calls involved breaking new developments overseas that promise to have a big impact on the global energy markets. They concerned a major global energy situation that is likely to create a domino effect that will have consequences for U.S. domestic policy.